Our great Europe adventure of 2017 is one for the books. What a magical, beautiful, wonderful whirlwind. All in all, we spent 16 days on the road in September and had so many adventures. 8 flights. 3 countries. 4 states. 2 rental cars. 8 hotels. Los Angeles > Indianapolis > New York City > Paris and back. We arrived in Paris on September 5. We took the "red eye" flight from NYC and Weston (thankfully) slept 90% of that 6 hour flight. He cried for about 20 minutes straight, mid-flight (and I cried, too) and the rest? He slept peacefully (#dreambaby) I was oh so relieved. I prayed so hard that he would be comfortable, peaceful, and sleepy. I didn't sleep. Too excited/nervous/worried/thrilled/just "all the feels" (sensitive feeler ENFP over here!) Weston awoke that morning in Paris, bright eyed and ready for the day! We thought about staying that day near Paris and resting up the first day, and left that as an option based on how we felt "when we got there," but when we arrived and got our rental car, Daniel felt alert enough to drive to our first destination. I, for one, did not! Jet lag hit me hard and I was drowsy and exhausted, but Daniel had slept on the flight and he felt "ready to go" -- so we went! As we planned our trip, we chose to make it easy-as-possible and "baby friendly"-- to forgo crowds at the most popular sites, the museums, etc (things we would love to do someday) in hopes of making it would be easier with a toddling little one. So that he would be safe/happy and so we wouldn't be stressed and totally frazzled. The trip was purposefully crafted to be very family-friendly (our sister in law, who had just been to Europe with her littles, gave us some really helpful tips as we began to craft our plan which helped much) and in retrospect, we are thrilled with how it all played out. No horror story moments in Europe and everything smoothly flowed fairly perfectly as far as plans being fit for a young family! We are grateful it all went so beautifully. And I hope that those of you planning to go on a Europe adventure with small children will be inspired and given ideas by our itinerary (several people on Instagram asked what our exact itinerary was and in this and following blog post, I will be detailing it in hopes of helping ya out!) Choosing smaller towns and villages to visit by rental car was a wonderful choice for us. We were free to create our own schedule, haul all our luggage and baby items more easily (we brought a Pack N Play, Car Seat, Stroller, etc -- more on that in a following post), and be free to explore the French and Swiss countryside at our leisure! The heart and purpose of this trip was to celebrate Daniel's 30th birthday as a family (we celebrated mine in Maui) , and his request? To see the countryside of France and the alps in Switzerland. The year before we met, Daniel backpacked Europe, all alone. He is a brave, fearless, wild and free adventurer, and he literally packed up his backpack and grabbed his viola case, booked a flight to Europe, a little money in his pocket, and a dream in his heart: to see the big wide world! Looking back, I am so proud of him (and, also sort of happy I didn't know the sketchy moments he would encounter on that crazy wild trip! There were definitely some unsafe moments in his wild adventure -- his phone was stolen and he slept on several park benches, played his viola to make money to go to the next town, had no plan in place, knew no one, stayed in hostels, rode trains... and had a happy, happy time!! And the Lord totally protected him ;) This trip looked a bit different than his former one -- a family trip, with much more than a backpack (#overpackerwife #workingonit) and a baby boy in tow! He kept remarking on how much more he was able to see this time, with a little more money in his pocket ;), a plan in place, and wheels! Seeing Europe on a train is a bit different than via car -- we had so much freedom and loved it. 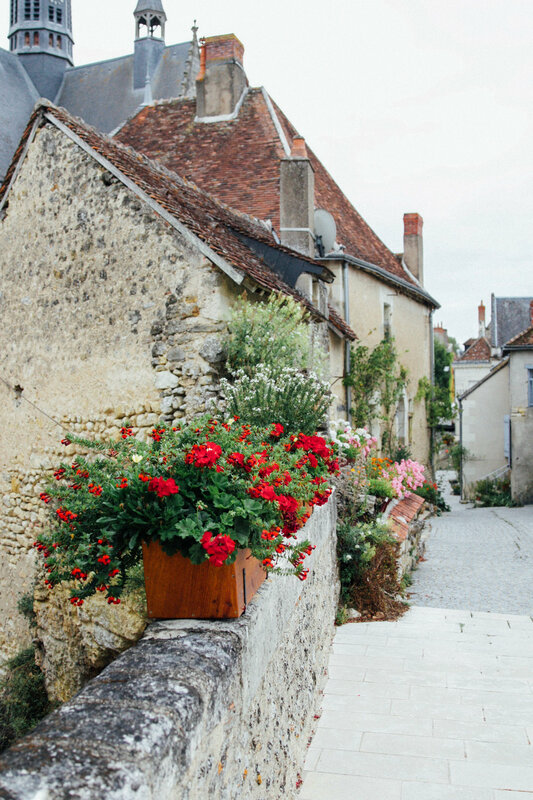 As I planned and researched our trip and made our itinerary, I kept Googling, searching in travel books, and "Pinterest-ing": "The Best French Villages." In my mind's eye (having never, ever visited this part of Europe, myself) I could just see that "Beauty and the Beast" style historic, charming village and I knew that is how I wanted to start our journey. I didn't know if "they" truly existed in the way I imagined, but as a hopeless romantic full of dreams and idealism, I hoped they did! 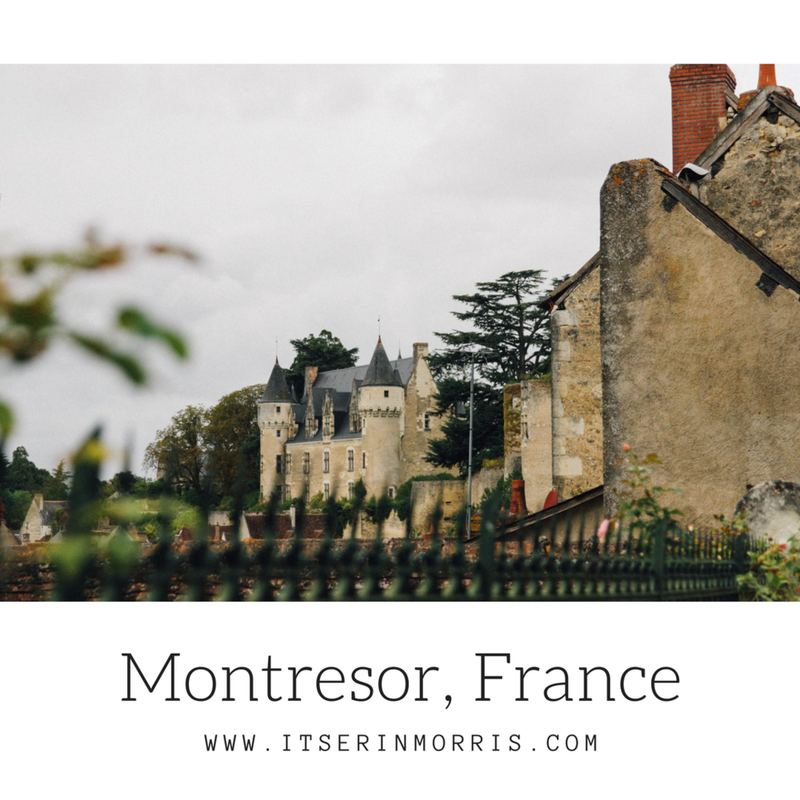 Every time I researched, I found lists of "The Best French Villages" and on almost every list, I saw the village of Montresor. Another "ideal" for our trip was to spend some of our time visiting historic castles and chateaus. (If you know me, you know a real castle in the countryside is basically my idea of heaven, and Daniel's idea of heaven is rolling hills, countryside, and lots of trees and green -- we grew up on a farm and a ranch....what do ya expect! 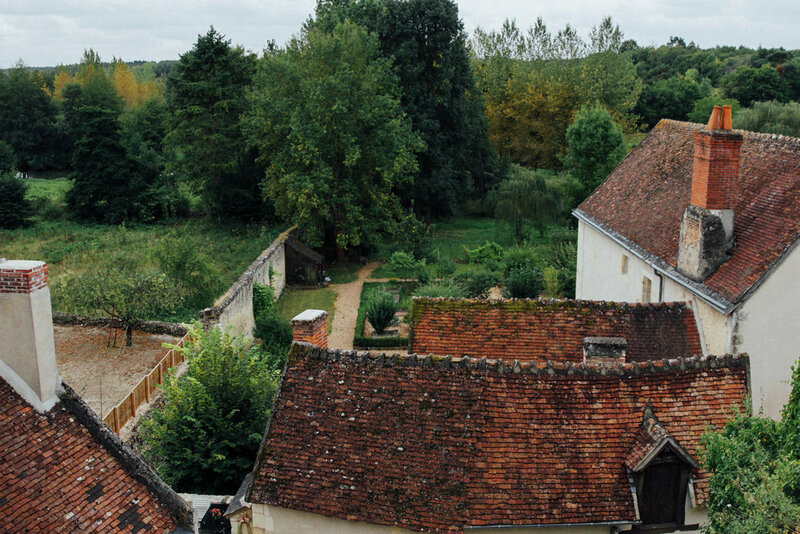 ;) I found that Montresor always made it to those "Most Beautiful French Villages" lists. In fact, in 2015, it ranked as the #2 most beautiful village in France! And Loire Valley... goodness. Just research it! It looked like a slice of paradise, and it truly is. And so, with much research (and I don't love research, so seeing it all unfold as I planned was quite satisfying and addictive!) I chose to begin our adventure in Montresor. And, can I just say..... best decision ever. We were on Cloud 9 and I am grateful we began in that little piece of heaven. People asked us, "Why Montresor? It is so random! I've never even heard of it!" And it really is rather tiny and random! But, it was truly perfect and I would personally say: it was my favorite part of the trip. "If it's French splendour, style and gastronomy you seek, the Loire Valley will exceed your expectations, no matter how great. Poised on the crucial frontier between northern and southern France, and just a short ride from Paris, the region was once of immense strategic importance. Kings, queens, dukes and nobles came here to establish feudal castles and, later on, sumptuous pleasure palaces – that's why this fertile river valley is sprinkled with hundreds of France's most extravagant fortresses. With crenellated towers, soaring cupolas and glittering banquet halls, the châteaux, and the villages and vineyards that surround them, attest to a thousand years of rich architectural, artistic and agrarian creativity. The Loire Valley – an enormous Unesco World Heritage Site – is also known for its outstanding wines and lively, sophisticated cities." Uhhh, sign me up! One local told us there are over 150 castles/chateaus in Loire Valley. Every time I researched the castles, it was overwhelming to just choose a few -- each one looked dreamy. I had a list of 4 we planned to see, but once we arrived, we stopped in the tourist center in Montresor and a sweet British lady directed us to the perfect castle to visit and so our plan changed. (Sometimes "being there" is helpful and talking to locals is the best!) There are just so many photos I wanted to share from the first day in Montresor that the next blog post will be all about the chateaus we saw. The flowery path outside our door. Simple and clean, the little apartment was so quaint and sweet. The view out the window of the cobblestone street and church steeple... the dreamiest. Our precious hosts brought Weston toys! Including this darling little piano. He adored it! Look at the little hearts carved into the shutters!! Fair warning: I'm going to sound like a broken record in all these Europe posts. But, truly, every detail was full of charm and uniqueness! We dined at Cafe De Ville twice or three times during our stay in Montresor. It's a lovely little cafe I highly recommend, situated right beside the Chateau! Like, a few feet away from the fortress. Sipping coffee beside the castle? My dream come true! The staff was darling. Few spoke fluent English (and I felt so bad that we didn't speak French -- in their country! They were so gracious to us!) but we managed to communicate and they were truly very kind to us and accommodating. I adored their espresso and their bread was tasty! Sitting and sipping outdoors felt very "French." Nearly every day, I ordered a salad at whatever cafe we found ourselves dining in. French salads are different than American, made with very fresh ingredients and I mostly very "clean." Some of the toppings weren't my favorite (so much fresh fish, which is so healthy but I didn't love it!) but those dressings. Goodness! The dressing were perfectly emulsified, with the right amount of oil to acid. Mouth-watering! Charming, darling, unique, historic details in every layer, corner, nook and cranny. None of the architecture is perfect or linear in France. There are no right angles or symmetry, really. And Daniel and I loved that. The pots, the flowers, the roofs, the ivy, the chataeu fortress, the church steeple. Ahhhh, it's just too much! I am going to print out this photo at Costco, and write, all "old fashioned"in pen on the back, like our mamas used to, "Weston Joel, fourteen months old, in France." The front of our sweet B & B. Roses sprouted up everywhere, all around the village. It was just so "Beauty and the Beast," I could hardly stand it. Our hosts dear friend, the owner and chef at a crepe cafe down the way, invited us to take a stroll through his personal, river-side garden. The view of the chateau was breathtaking -- every historic detail in place. It was amazing! The view just across from where we stayed. The little village homes all have the most beautiful, working, lush gardens behind!